This song about the life, death and resurrection of Christ was written by English songwriter Stuart Townsend (b 1963), and is set to an unnamed tune by Northern Irish contemporary Christian music songwriter Keith Getty (b 1974). It was released on an album in 2001, and published in 2002 by Kingsways Thank You Music. It is now included in many hymnals. 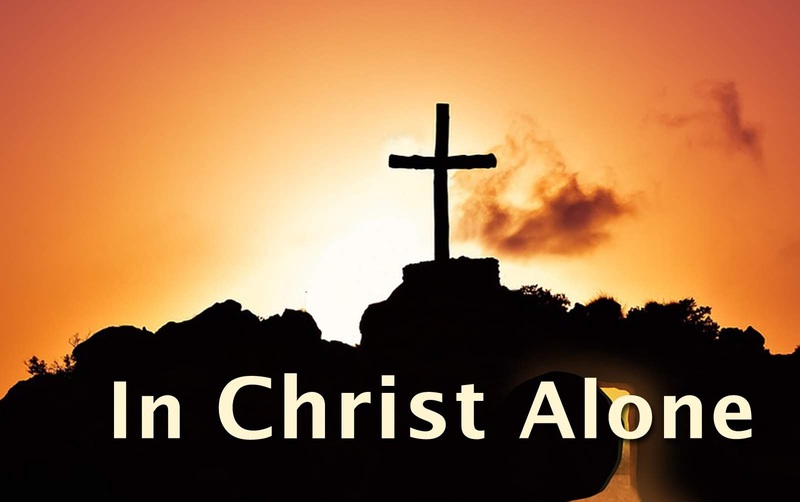 Alternative titles include "In Christ Alone My Hope Is Found" and "In Christ Alone I Stand". It has been covered by many different artists, and has crossed denominational boundaries and is sung in churches worldwide - and has triggered theological discussion in some places (ref). It has also been translated into various languages. The tune has a 3/4 time signature. In the key of D, the first few notes are D EG G D E G A with accompanying chords D / G / C / D. Some commentators regard it as a "celtic" tune. Choral arrangement (SATB) by Lloyd Larson. ... Here in the death of Christ I live. ... Bought with the precious blood of Christ. ... Here in the pow’r of Christ I’ll stand.